First, I’ll give you some gereral tips for flatlocking. 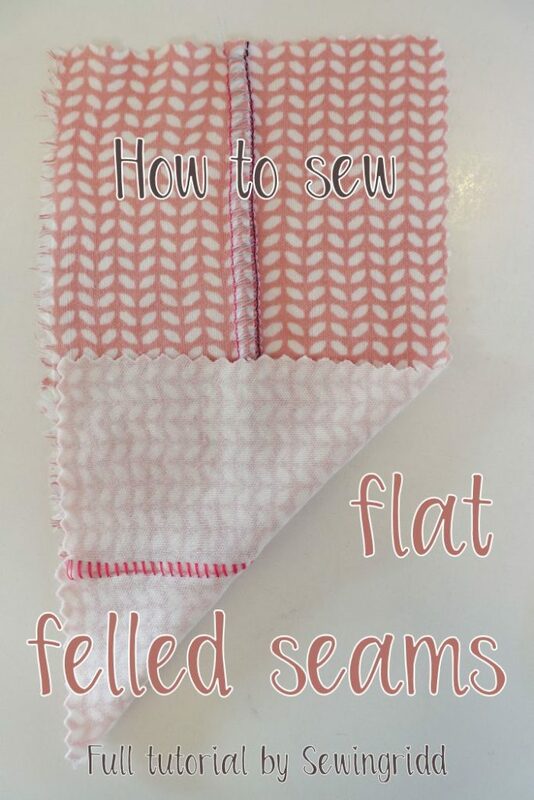 At the end of this blog I give you some clear examples showing the normal lock seams and different options for flet felled seams. You’ll see what thread shows where, and the effect of your stitch length. 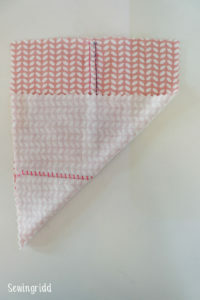 And did you know you can also make decorative stitches? Because this blog would become too long, next week I’ll teach you how to make 3-thread (flat)lock hems in one move. A quick and easy clean finish for all your garments! These are the leggings I sewed using contrasting flat felled seams! First, we need to set up the serger. Personally, I work with the Singer 14SH754. 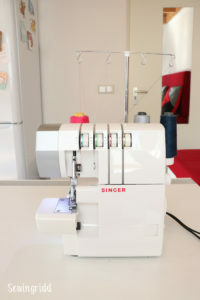 What settings work best on your serger is probably already described in the manual. That will save you a lot of time testing. So carefully read that manual! The flatlock stitch is a 3-thread lock stitch. We’ll use just one needle and the upper and lower looper. So remove one of the needles. You’ll pick which needle you’ll take out, determining the with of your final stitch. I personally prefer a wider stitch, because it’s more outstanding. Adjust the thread tension of the threads. 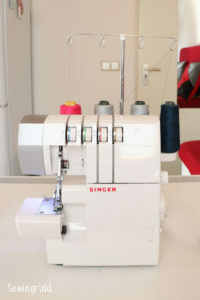 The needle thread needs super low tension: 0.5 for my Singer. The thread tension for the loopers is very high. For me the upper looper is at 5 and the lower at 7. 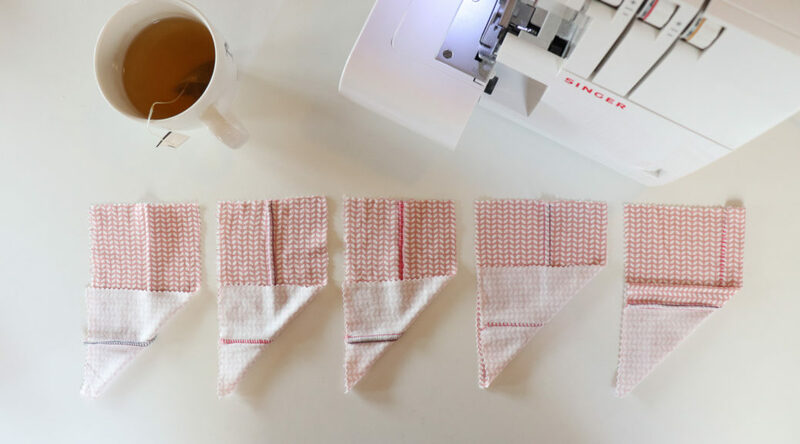 Set your stitch length. I prefer a shorter stitch length (2mm), but that’s just taste. Try what you like best. Now we’ll start testing! The thread tension might need optimization. 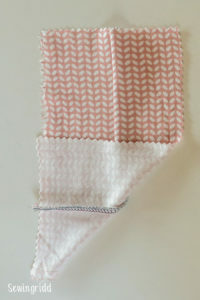 For testing, use the same fabric as the real deal, because the thread tension is very much related to the fabric. Lighter fabrics may need lower tension on the loopers, while heavier fabrics may need higher tension. 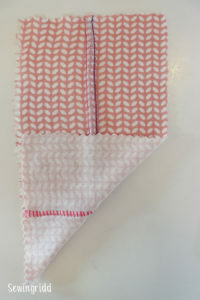 After sewing you always pull your fabrics apart, causing the seam to fall flat (hence the name). Are you satisfied with your seam? No weird irregularities or loops? Is the seam nice and flat? Then you can start on the real project! Very important: with flat felled seams you sew the wrong sides of the fabrics together! That way you’ll get the sporty coverstitch look on the right side of your fabric. 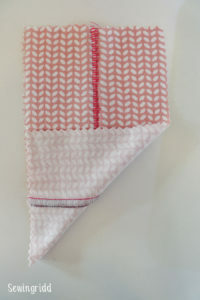 Do you prefer the ladder stitch on the outside? In that case you sew the right sides of the fabric together, like you usually do. You can see how that works in the examples below. This one we know, right? Here the right sides of the fabric are sewn together, nicely finishing the seams on the inside. Nothing shows on the outside. The overlocker is set up differently, like we discussed. Here, the wrong sides of the fabrics are sewn together. The stitch length in this case is 3mm. 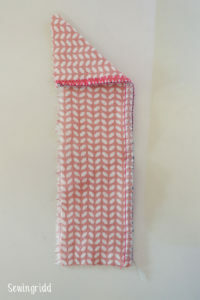 Now, when you pull the fabrics apart, the seam falls flat and the upper looper thread shows. 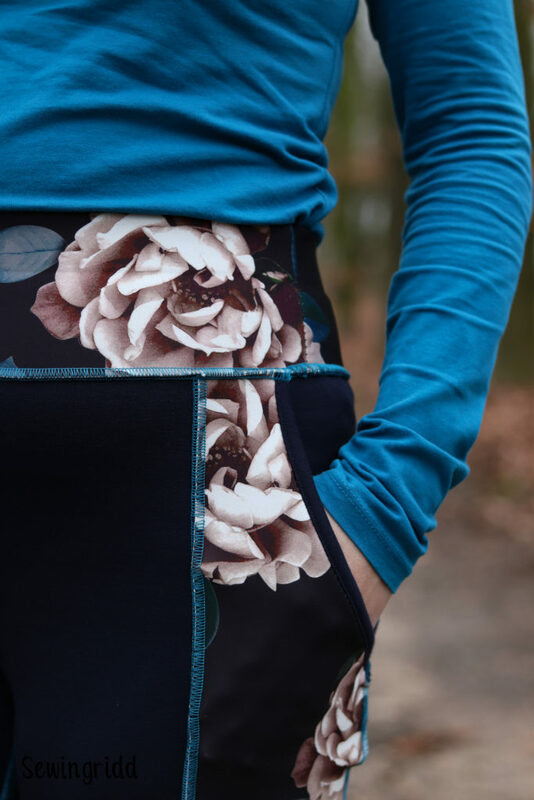 On the right side of the garment you see this nice, sporty seam that I used for my leggings. Do you prefer another effect? 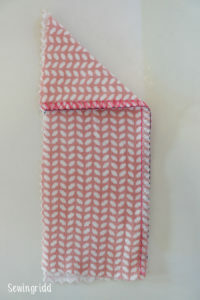 The ”ladder” stitch that you had on the back of your fabric, you can of course also sew on the front! In this case you sew the right sides of the fabrics together, like normal. 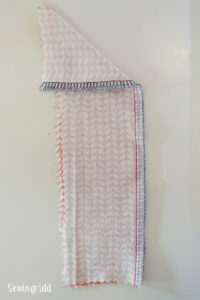 The stitchlength in this example is a little shorter: 2mm. 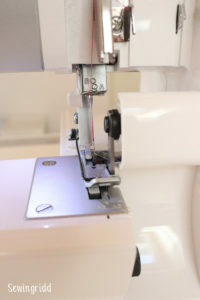 With this method the needle thread mainly shows. 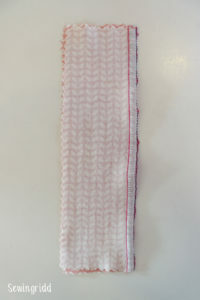 Here, the same method was used as in example 2, only the stitch length was set to 4. That already gives a different look! On top of that the knive of the machine was disabled. This way it’s possible to make fully decorative stitches, wherever you want. This method I used to sew the pockets’ short end of my leggings. So flatlocking is a really simple technique, with a super cool and huge effect! I hope you dare to give it a try yourself after reading those tips! Don’t wanna miss anything? Follow me on Instagram, Facebook, Bloglovin’ or Pinterest and subscribe to the e-mail notifications!